Union Station . . . trains, travelers, a place for lunch. To the left, the Marshall Judiciary Building lawn has various functions for different groups: berries for hungry squirrels, shade for a smoke break, and a section that post flags from our fifty states. 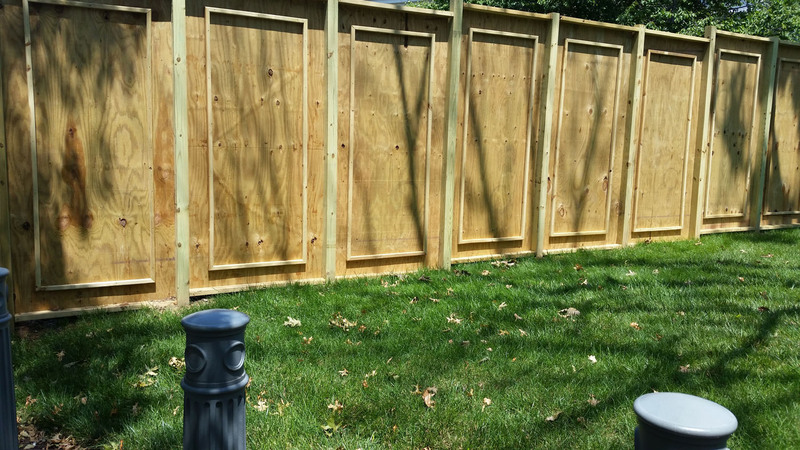 Last week wooden construction panels were put up and one acre of land was blocked out of the lawn. The Thurgood Marshall Federal Judiciary Building is adjacent to the lawn and needs roof alterations. The panels will likely be there for the next seventeen months, and there are approximately one-hundred wooden panels. These panels could act as a canvas for every school in the District. The beginning of the school year is upon us and each school could choose a design by December. The youth could visually answer the question, "What is your DC?" In the spring all the panels would be decorated with a representative art piece from D.C. schools and create a space for telling a story. This would allow students to not only share their stories, but most importantly it gives students and the community the opportunity to engage with the plethora of perspectives within our nation’s capital. 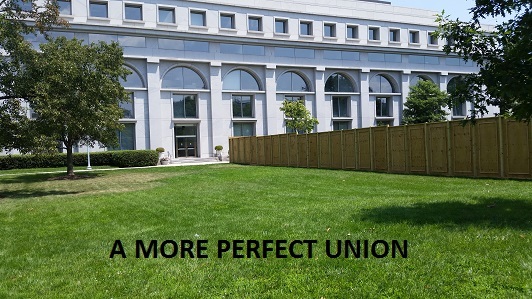 -Thajilah O., Emmanuel A., Sarah E., Margaret M.
This design for a semi-postal stamp sums up the teachers' vision for an art project on the Marshall Federal Judiciary Building lawn: "A More Perfect Union." The hundred wooden panels encircling the construction area on the lawn would be the perfect canvas for students to create artwork to engage with both local and out-of-town passers-by in downtown Washington, D.C.